With the launch of the beta version of our platform and the emergence of the world’s first decentralized AI marketplace, it was only a matter of time before the early adopters arrived. 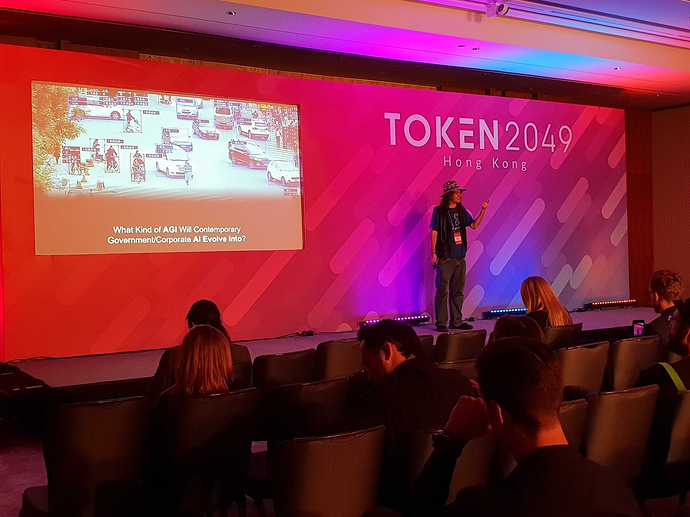 Dr. Ben Goertzel and Cassio Pennachin announced our AI Collaborations with Ping An Technology and our partnership with Nature 2.0 at the Token 2049 Event. As nation-states, enterprises and other entities recognize the advantages of sourcing their AI through a decentralized marketplace, as the beta version of the SingularityNET platform evolves to add advanced features, as we add powerful AI services to our platform, as our platform opens up to third parties and as the barriers to our adoption decrease - SingularityNET’s network effect will reach a tipping point, and the “SingularityNET Flywheel” will come into full effect. Until that happens, we see it as our responsibility to ensure that there is growth in the demand and supply of our platform. Let us take a look at how we worked to increase our platform’s adoption in March and what our plans are for the near future. One of the primary responsibilities of any first mover in an industry is to educate others about their product or service. With that aim in mind, in March, we published the SingularityNET Whitepaper 2.0. 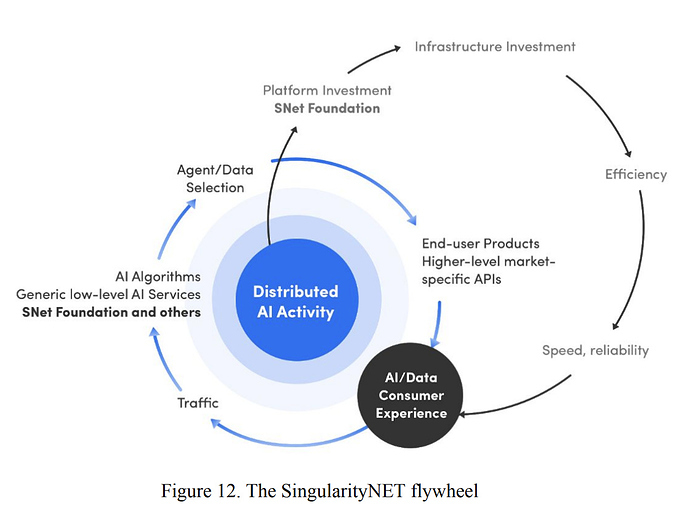 Our new whitepaper extensively details the architecture and components of the SingularityNET platform, the scope, and nature of the AI services we are currently developing, and the various research studies being conducted by our AI team. We invite you to download the whitepaper and share your feedback with us in our various telegram communities. To view our new roadmap, click here. This new phase in our journey will commit us towards maximizing the adoption of the SingularityNET Platform. The new roadmap reflects that commitment by detailing the various initiatives that will either decrease the barriers to our platform’s adoption or will increase its appeal by enhancing its capabilities and functionalities. We expand on the upcoming upgrades and enhancements to the Beta in our blog post. The SingularityNET team is working around the clock to develop new features and AI services that will further advance the capabilities of the SingularityNET platform. As of now, the total commits in the Github repositories of SingularityNET equal 123,203. The total number of repositories now stands at 73. You can track the progress of our development here. In recognition of the efforts of our team, SingularityNET was rated one of the top blockchain projects in terms of developer activity by Consensys! In the fifth part of our Talent Spotlight series, we decided to speak with Raam Baranidharan, our VP of Engineering. Raam was instrumental in the development of our platform’s Beta, and is already working on improving it. If you’d like to learn more about Raam, please click here. On the 9th of March, Dr. Ben Goertzel gave a speech at the TEDx Berkeley 2019, in which he highlighted the power and necessity of decentralized AI. On the 12th of March, Hrish Lotlikar represented SingularityNET at the South by Southwest (SXSW) conference in Austin, TX. On the 13th of March, at the TOKEN2049 Conference, Dr. Ben Goertzel delivered a keynote speech on developing benevolent Artificial General Intelligence and highlighted the features of our platform’s Beta. On the 16th of March, SingularityNET held a developer workshop in Singapore in collaboration with FOSSASIA 2019. In the workshop, we demonstrated the features and capacities of the SingularityNET platform. On the 19th of March, Hilen Amin delivered a presentation on “The Power of Collective AI,” at the Oslo Big Data Day 2019. On the 21st of March, SingularityNET held its second Amsterdam Meetup. In the event, senior engineers from SingularityNET held a developer workshop that covered the SingularityNET platform and OpenCog. 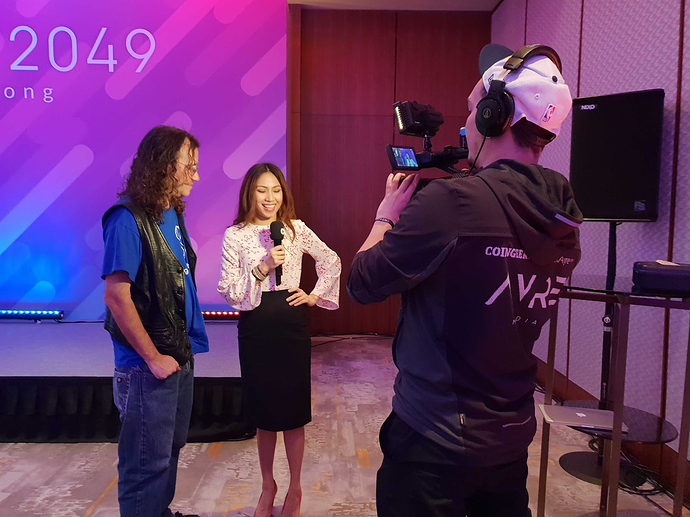 On the 27th of March, Dr. Ben Goertzel represented SingularityNET at the Stanford China Social Innovation Summit, where he participated in a panel discussion on the future of AI. On the 27th of March, Dr. Gina Smith moderated an AI Panel at the BOAO Forum in Hainan, China. The panel comprised of AstraZeneca Chairman Leif Johansson, Baidu VP Watson Yin, and several other prominent business leaders. On the 28th of March, Ibby Benali represented SingularityNET at the European Commission, in a panel discussion on the convergence of blockchain, AI and IOT. 4th - 5th April - Developer Workshop in Tokyo, Japan! The workshop will feature a panel discussion with Dr. Ben Goertzel and will explore the monetization of AI services via the SingularityNET Platform. On the 5th of April, another developer workshop will explore the features of OpenCog. 6th April - Teamz Blockchain Summit in Tokyo, Japan! Dr. Ben Goertzel will deliver a keynote speech on decentralized AI at Japan’s largest blockchain event. To get a free 2-day pass to the event, click here. 11th April - 15th April - Odyssey Hackathon 2019! The SingularityNET team will be participating in the world’s biggest blockchain & AI hackathon! As one of the teams in Nature 2.0 Track of the Odyssey Hackathon, we will seek to build the unimaginable using AI and blockchain that will be a part of the digital commons and will challenge the status quo. 30th April - 1st May - Ai Everything Summit in Dubai! Dr. Ben Goertzel will represent SingularityNET at this much-anticipated summit. AI Business and Invest In Blockchain joined the list of other publications that reported on our platform’s Beta launch. Consensys rated SingularityNET as one of the top blockchain projects in terms of developer activity. Coin Telegraph, Yahoo Finance, Towards Data Science, Inverse, CryptoBriefing, AiThority, CryptoNews, Micky, and AltCoinBuzz reported on SingularityNET’s AI Collaboration with Ping An Technology. Coin Telegraph published an article on the Fourth Industrial Revolution and the synergy between AI and Blockchain, which discussed SingularityNET. AdWeek published an article that discussed Dr. Ben Goertzel’s views on Artificial General Intelligence. TEDx Berkeley 2019 shared Dr. Ben Goertzel’s presentation on Decentralized AI. Simulation shared interview clips with Dr. Ben Goertzel that covered various topics. 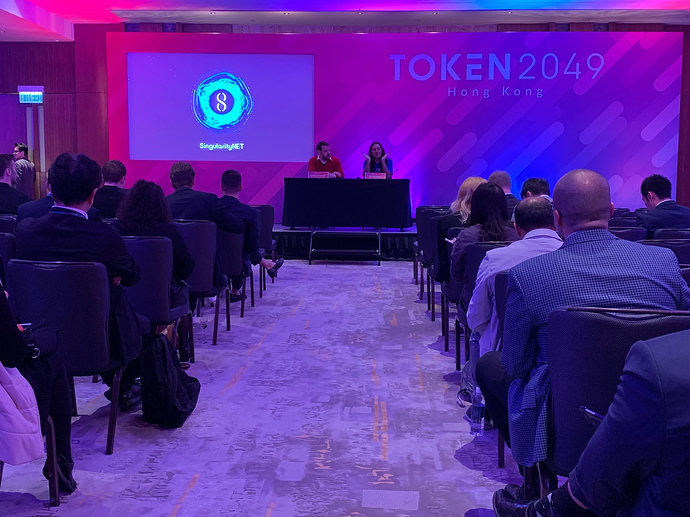 BitSpace shared a presentation on “The Power of Collective AI,” delivered by Hilen Amin, our VP of AI Solutions, at the Oslo Big Data Day 2019. Our latest episode of the AGI Podcast is now live! In this episode, we had a fascination and wide-ranging discussion with Mark Turrell - a Harvard educated entrepreneur, educator, author and strategist who has focused most of his life on understanding, solving and improving complex problems across industries and cultures. Click here to learn more about Mark. Lastly, we would like to take this opportunity to acknowledge the closed Beta testers whose timely and detailed feedback made the launch of our platform’s Beta a success! As a further sign of our appreciation, we are delighted to have presented these community volunteers with a gift of AGI Tokens. Alexander Ramirez, Aderson Osoria, Daniel Debièvre, Koen, Simon Schürrle, Jasmine Smith, Malcome Fein, Eddy, Zack Epstein and Exegesis of Goose. In this new phase of our journey, there will be many opportunities for you to get involved and join us! Currently, we are looking for a Public Relations Specialist, click here to apply. That is it for this newsletter! Be sure to join our Telegram Channel and Community Forum, and follow us on Reddit, Twitter, Facebook, Instagram, and LinkedIn!